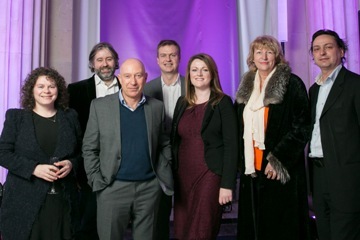 Rough Magic Theatre Company has been announced as the next Sky Arts Ignition partner, as part of Sky Ireland’s commitment to the cultural sector. Sky Arts Ignition will provide €230,000 in funding to Rough Magic, enabling them to deliver a new and innovative production. In addition, Sky will offer further support through programming, as well as its strength in the digital space to help bring the production to a wider audience across Ireland and the UK. Rough Magic, one of Ireland’s leading theatre companies, will join forces with Opera Theatre Company to create an extraordinary production of the political satire The Rise and Fall of the City of Mahagonny by Bertolt Brecht and Kurt Weill. The production will run at the Olympia Theatre in Dublin from 12 – 22 June 2014. The theatre company won the award against very strong applications from Ireland’s leading arts organisations. The Sky Arts Ignition application process was supported by Business to Arts, and made exclusively available to Irish arts organisations. The piece will be staged in one of Dublin’s great 19th century music halls, the Olympia Theatre, which will be re-imagined and transformed to create a totally immersive experience. The action will take place all around the space – in the boxes, parts of the dress circle, the parterre stalls, as well as the stage. The production will feature a 60-piece orchestra and a line-up of leading Irish singers and performers. Business to Arts, Sky & Ideastap will host a Google Hangout at 1.00pm on Tuesday 19 November to give full details on how best to complete the application process for the Sky Academy Arts Scholarships and what they are looking for. If you wish to log on to the online session or watch it online later, please register your interest by emailing rowena@businesstoarts.ie. You will be sent an invitation link on the day to attend. Are you an emerging artist aged 18-30, or are there creative practitioners in your network who should know that Sky in association with IdeasTap are giving away five bursaries of £30,000 each? 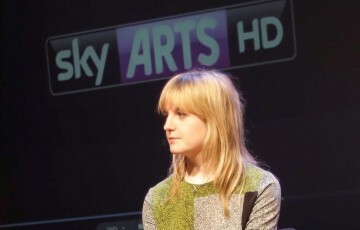 The recently renamed SkyArts Futures Fund Bursaries (now Sky Academy Arts Scholarships) are designed to help talented arts professionals from a range of disciplines focus on their creative practice for a year. In addition to the funding, winners are paired with mentors to support their development. The deadline for applications is 5pm on Friday 6 December. Find out more and apply here.